Ken Giles pitched a scoreless 9th for his 4th save of the season. 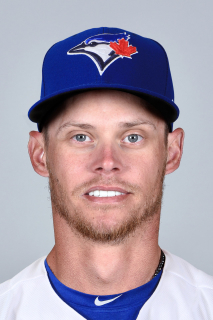 Clay Buchholz had a solid debut in a Blue Jays uniform tossing 6 strong innings, allowing just the one run, scattering 6 hits and striking out 2. His pitches were moving well. Also, props to him for giving a couple of his young fans the warm-up ball. The Blue Jays offence did just enough to eke out a win today. Lourdes Gurriel Jr. and Teoscar Hernandez, who both had rough days defensively (although Hernandez did gun down a runner at home plate), were clutch in the 7th and 8th connecting for respective RBI doubles and singles. Both replay reviews went the Blue Jays way today. In the bottom of the 4th, The umpires correctly overturned a double play ball which would have ended the inning. Replays showed that Hernandez beat the relay throw by a good step. In the top of the 7th, Hernandez fired a strike to Luke Maile for an inning-ending DP. This one was actually closer than it looked on normal speed, but the correct call was again made as Maile got the tag down just ahead of Avisail Garcia sliding across home plate. I will never get used to managers pulling pitchers who are throwing gems. Today, Blake Snell was cruising through 6 innings, allowing just 2 base runners. His final inning, he threw 10 pitches and none of them stressful. Why not let the Cy Young winner from last season start the 7th and if he gets in trouble, then you pull him. Chaz Roe came in and lost the lead in a span of 4 batters, 13 pitches and 3 hits, two being extra-base hits.